We are a resource company designed to help high school juniors & seniors with college readiness and life-after-high-school skills. ​KRJ Resources was founded in December 2010. Its goal is to help students prepare a road map for life after college. We help them understand their goals in life and seek the resources needed to obtain their dreams. ​KRJ Resources has years of financial aid experience and life coaching for high school and college students. We strive to create a learning environment, offering financial aid mentoring and college-readiness skills with real-life examples and voices of other young adults who once traveled the same roads. ​We are a mentoring program offering resources to help incoming college students prepare for the next level after high school. 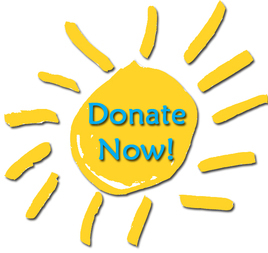 Click the sun below to help point a student in need toward their future. Your donation will be sent to us through Paypal.